The Culligan RV-600 is a disposable filter. The filter can be replaced with the Culligan RV-500 water filter. The Culligan RV-500 does not have the 12-inch flexible hose. 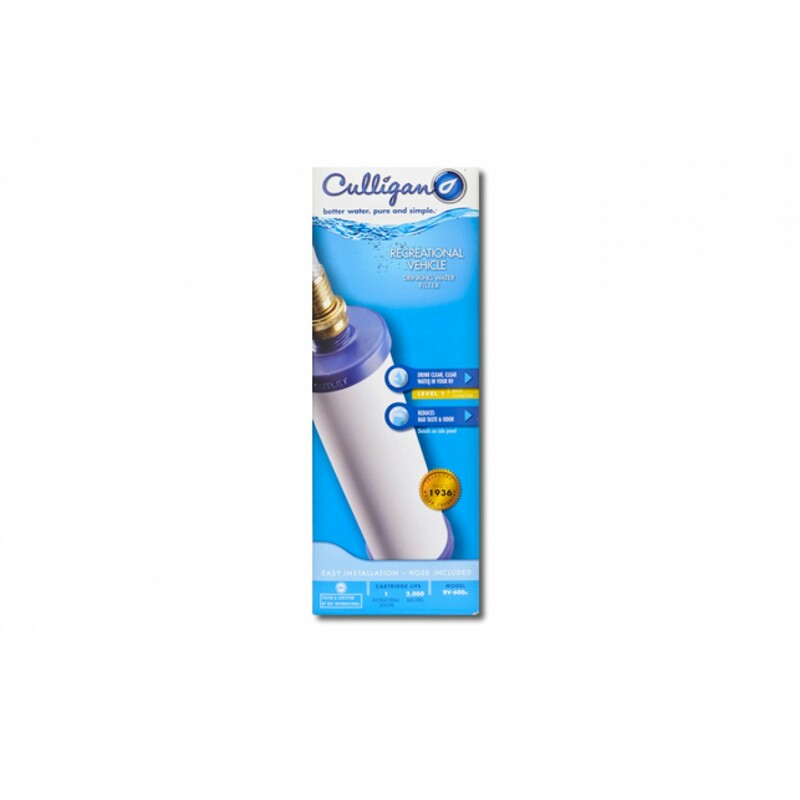 The Culligan RV-600 water filter cartridge lasts up to 2000 gallons and is easy to replace with a new RV-600 filter or a Culligan RV-500 filter. The life of the filter also depends on the amount of water used and the amount of contaminants in your drinking water.